"As a CRNA (Certified Registered Nurse Anesthetist) practicing full time pain management for acute, chronic and cancer-related pain, I have advanced practice status and am able to order a variety of diagnostic tests, prescribe medications and perform a variety of therapeutic injections. I had been searching for an osteopathic educational program that would help form in me, as a clinician, a true osteopathic perspective and would also give me training in osteopathic techniques." "I found the program through the Osteopathic College of Ontario leading to a diploma in osteopathic manipulative theory and practice to be an ideal program for accomplishing these goals. This is an ideal pathway for medical physicians, physical therapists, advanced practice nurses, and advanced massage therapists to acquire a clinical framework and skills in classical osteopathic holistic patient care." "As a newly qualified osteopath I found it difficult to transfer from practice of techniques to finding a methodology of treatment that was meaningful to me. Having seen Dr Sanet give a lecture I realized that here was a teacher with the ability to transfer his knowledge, not by implication and analogy, but by an experiential approach that enabled you to feel that you could do it too: a method that enabled you to develop confidence and trust in your own sensibilities and thus to put the heart into the technical skills." If we understand that osteopathy is practiced by individuals and that each practices accordingly, then it will be understood that the Quantum Course is one unique individuals' methodology of treatment. The approach Steve gives is 'this is how I do it and this is why I do it this way'. You then have an opportunity to try out those methods under his direct guidance so that you are taken on a journey through his years of experience in treating patients. Even if you have a portfolio of techniques already to hand, you will review those methods in a much more structured way so that theory and anatomy are combined effectively in practice. Energetic concepts of how meaning and intention might direct treatment are also explored with insight. Ancient theories are also drawn upon for new applications to treatment. Whilst the uncertainty of treating patients is always present however many years you have in practice, the course helps you, with insight and humour, to develop a clear methodology for treating the patient which you can make your own. "I have taken numerous continuing education courses over the last 24 years and without a doubt Dr. Sanet has been the best teacher. Dr. Sanet makes learning "FUN". Everytime I've taken a course by Dr. Sanet I've taken away a "peril of wisdom". These "perils of wisdom" are Dr. Sanet's treatment philosophies. By utilizing these treatment philosophies your are able to make an immediate impact on your most difficult patients. 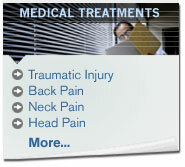 The best part is that you can uses these treatment philosophies first thing on Monday morning on your first patient. As a private practice owner what sets me apart from my competition is the RESULTS that I get with my patients utilizing Dr. Sanet's treatment philosophies. I have been so impressed with Dr. Sanet as a mentor and teacher that I hired him to train my staff." "It was 1999 that I first met Dr. Sanet, He was invited to Korea by KAOMT (Korean Academy of Orthopedic Manual Therapy). We had 4 days seminar for Craniosacral therapy and that course changed my life ever since.' That was starting point for this long journey. I can say it was not lonely because I have very great teacher. If you want to learn what is osteopathy you need to learn from real osteopath, Dr. Sanet. It has been 10 years that I follow the way as an osteopath and no regret, it was truly blessing to me and to my patients. Always grateful ... Dr. Sanet... My teacher... "
"The Osteopathy, Craniosacral Therapy and Manipulative Therapy Education Quantums presented by Dr. Steve Sanet in 2005-2007 presented an integrated method for both the diagnosis and treatment of somatic and visceral problems manifesting in the human body. Demonstration of cases of osteopathic concepts integrated into the management of some commonly encountered conditions were demonstrated throughout the quantums. The osteopathic approach to diagnosis and treatment was emphasized on each quantum. The combination of acquired knowledge and clinical experience by Dr. Sanet over the years treating patients has evolved into a unique philosophy apply during each quantum. His body of knowledge produces a concrete system of evaluation and treatment acceptable to the medical field so that each clinician will become more effective treating their own patients and helping people to restore its baseline homeostasis."